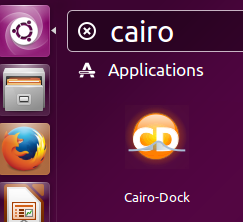 Cairo Dock is a lightweight, powerful desktop interface that lets you organize your favorite and most frequently used applications in the forms of docks, desklets, panel, etc. It is an animated application launch bar and makes it easy, time saving for you to launch your favorite apps quickly. It provides a good look and feel to your linux desktop as well. It is a customizable application due to the native support for plugins. It offers a very powerful task bar and you can control your emails, messengers, RSS feeds, games, torrents, social networking apps etc from there easily. It now supports OpenGL as well. 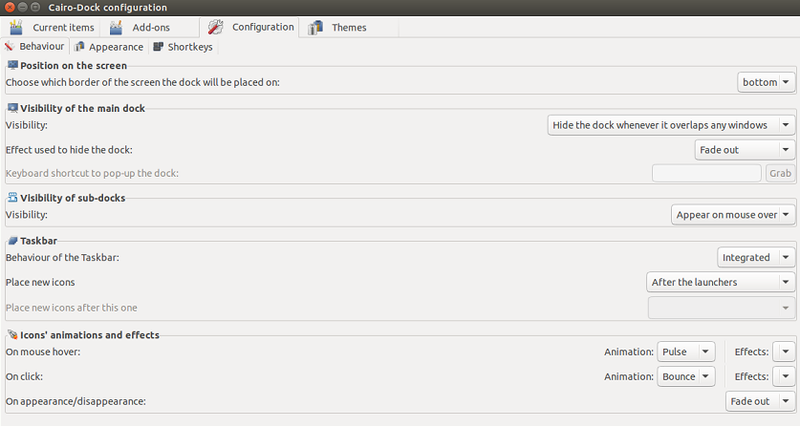 In order to install Cario Dock and its plugins, first we need to add its PPA to ubuntu package manager. Launch your terminal and run following command to add its PPA to APT sources. Run following command to update your APT package manager repositories. Now run following command to install Cario dock and its plugins. As soon as installation is complete, launch it from Application menu. It will offer you a dialogue box on the very first launch to confirm if you want OpenGL support enabled or not. OpenGL support lets you get best results out of Cario dock. Its preferred to allow OpenGL support here. 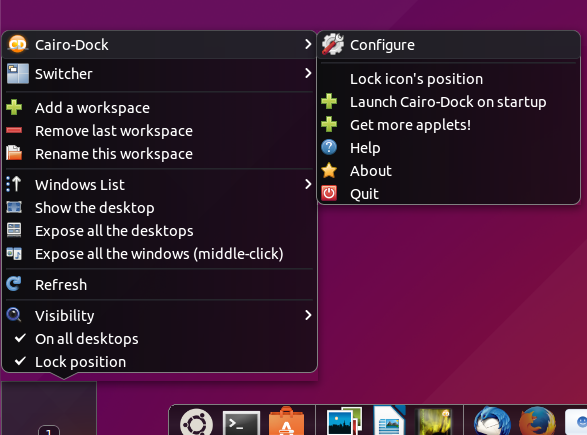 You can configure it properly according to your own needs and preferences by right click the workspace icon and choose “Configuring Cario Dock” option. Here is the feature rich configuration dialogue box, tweak how you want this launcher to work for you from here. 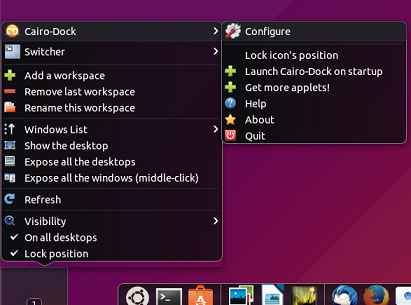 Cario dock offers great features to improve your daily desktop experience. The development of this app was started in 2007 and has been receiving continuous bug fixes and new features.